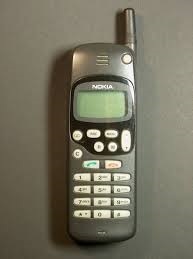 All this reminiscing brings back oh so strongly memories of my first Nokia, indeed my first mobile. Bought late 1998 in Dhaka, Bangladesh (just found the original invoice, dated Nov 8 1998 for Taka 11,900 and another Tk 3,500 for the SIM which included a security deposit of Tk 2,400! ), it bore the then usual numerical name, 1610. The dimensions would reassure you that if you ever ran out of bricks while building your house at least one could be happily substituted with the good ol’ 1610. Dimensions: 160 x 58 x 28 mm (that’s a good 6.29 x 2.28 x 1.10 inches). And weighed in at a cool 250 grams (or 8.8 ounces). [You can get some more stats here: http://nokiamuseum.com/view.php?model=1610]. Skinny jeans were out as were shirt pockets. But boy, was it a tough baby! Sturdy, reliable to a fault—you’d never pretend your device wasn’t working, dammit—and entirely unpretentious. By the time the original battery began giving up and the phone became an immobile phone on account of needing constant AC power, we were well into the first decade of the 21st century—in the intervening years we’d managed to lose the plot in two cricket world cups, a football world cup had happened two years before and BJP was stumped in the election they’d presumed that’d sewn up before votes were cast—in 2004. When I walked into a Nokia store in Delhi inquiring after a battery as a replacement to keep the old guy going, the chap at the counter snatched the phone out of my hands exclaiming, “Which model on earth is this! Where did you get this! I never knew this existed!”—you can see for yourself these were not questions… just reason tottering in her throne and finding utterance in exclamations. Alas! There was no battery available. 1610 battled into the ditches gamely till the last day until even the power cable plugged in couldn’t raise the familiar two lines of crisp black text on the fluorescent green background. He—a device of such proportions could never be a ‘she’ surely—sleeps quietly now in a drawer at home. Dhaka stint, a Motorola monochrome… the model I forget the name/ number of but looked like the one to the left here alongside. This little one was brand new and I’d barely used it for maybe a month when some unscrupulous chap pinched it from the spot it was lying in the front office—there was no signal in my room which was further in the depths of the building—and legged it to the far and wide. a few fancier ring tones and just maybe a feature or two more the S6 was sturdy, reliable to a fault—again—and had a strictly no-nonsense approach to discharging its forsworn duties. 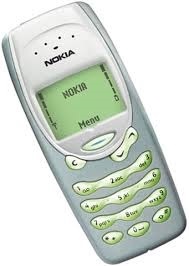 Between late 2000 and early 2003, I had the Nokia 1610 to see the family through all ‘mobile’ needs. There was a time when my then employer—who shall remain nameless for once started I am certain to bring calumny charges upon self—wanted me to get a set to be at beck and call. My stand was pretty clear: if employer wanted to get in touch with me they jolly well had to fund a device. This they refused studiously and I remained undeterred but unfettered. Ah, those were the days, my friend! Soon my job—a different one now—needed me to move to Kuala Lumpur… in Feb 2003. Used as I was to STD booths—remember them? !—in India, KL proved to be a most difficult place to establish communication from! I remember the amount of hunting I had to resort to wanting to make a simple ‘hell, I’ve reached in one piece!’ safe-arrival phone call home! And when I needed to get an apartment one had to speak to estate agents. These ladies and gents of course brooked no time and being unequipped with a mobile was a serious shortcoming and designed to extract a sharp breath, a raised eyebrow or a disbelieving ‘gah’, or any combination thereof or maybe all three. The 3315 saga was capped towards the fag end of my stay in KL early 2004. I had to take a rather important call for which I had to move out of the office into an as yet unbuilt section which had no AC. The call went on and on and sweat rolled off… and just as I finally ended the call there was a hiss and a crackle—well, more of a crackle-let, really—and the set froze. As always I restarted the phone and things seemed back to normal with the minor hiccup of a few keys—1, 4 and 5—refused to take part in any key punching activity! I could therefore not dial any phone number that comprised those but could jolly well dial all numbers already in my contacts list. KL didn’t turn out to be very user-friendly in terms of repairs and since I was returning to India soon in any case, I decided to wait. 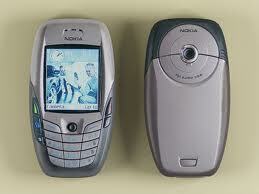 My parents took over the phone when I moved on to my next, the mighty Nokia 6600. And they’re travelling back to Delhi from Calcutta when it—the Malaysian 3315, I mean—was filched by someone on the train. 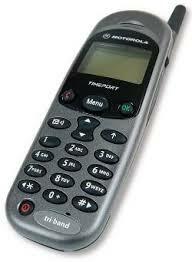 I must say this was another sterling device from Nokia that even permitted you to make your own ring tone. 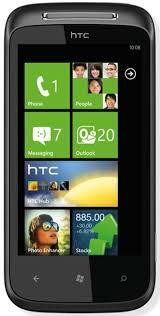 device, an HTC Wizard, that ran on Windows Mobile 5.0. This, you understand, was far, far removed from the slick touchscreen devices that are rife nowadays. Capacitive screens were non-existent then as far as I know. These were resistive screens and you needed to use a stylus and you poked quite determinedly with that. Or you lovingly grew a nail on some convenient finger, shaped it more lovingly to resemble the tip of a stylus and then used that to communicate with device dear. Cut to the OS now. This, in sum, was like a stripped down version of Windows XP on your PC. The same ‘Start’—though on the top of the screen here—the same dropdown menu with similar options, a mini-me Windows Explorer, a file system that did not just mimic her elder sister XP but was in fact, the very same rendered within the confines of a far smaller screen, same apps—Word, Excel, PowerPoint—Control Panel… the works! So you wouldn’t be called upon to adapt much excepting for the size. And yes, the need to recalibrate the screen periodically to ensure the taps & pokes happened at the right spot for these resistive screens, being of an earlier vintage, tended to lose precision. A quick research told me the price of a new unlocked set was a cool $400. Sorely tempted I certainly was, but at that price it’d pinch so hard I’d have a welt for a long time. My b-i-l and I scoured the Net for deals in the Seattle area and soon found an ad where the advertiser was offering a brand new set for half the price, $200. There was no question of waiting any longer. I didn’t stop to question the possible ethics of someone selling a new device for half the price… the natural question would be, why? A call to the advertiser elicited a gruff “let’s meet at the strip mall in a couple of hours”. That afternoon, as we set sail—okay, drive—was cloudy, stormy, just the sort you’d expect when treasons, stratagems and spoils are spoiling to be afoot. The said mall was fairly close and we reached there in a few minutes. By then it was raining, accentuating further the tone for what was to unveil next. My b-i-l called the seller again and lo! What he said then was remarkable to say the least. Let me quote, well almost. B-i-l: “But the car park is so big! Where will we find you?” Pretty much the last line of defence now. “I’ll find you.” Ominous, eh? Big brother-ish! Complete capitulation followed and we crept out of the shop we had been sheltering in till then. The car park yawned in front of us and we struck out in the drizzle. It was empty with cars scattered around, some of them bunched together. As we neared one such clump of cars, an SUV drove up, two men inside. The offside guy gestured at us to get in. No words exchanged. Yet. When this first device didn’t work upon my b-i-l testing it with his own SIM, the chappie fished out another set from the glove compartment. This one worked fine. “200 bucks, no questions. Deal?” The driver chappie had been patiently waiting for us to pronounce judgement. The entire buying experience was just I had seen in plenty of crime thrillers: shady deals struck in cars, mostly in the dark. And here I was doing just that… some 15,000 kilometres from home! Money handed over, I was the proud possessor of the bulky device complete with a charging cable… and nothing else. This phone really worked well. Its two speakers on either side cranked up a volume when playing music that rivalled my car speakers! And back then, whatever memory it had seemed good enough. In 2009 my then manager agreed to sanction a company sponsored phone, a device that I coveted—while the Wizard was inflight—for its looks, the HTC Diamond 2. Boy, what a looker! The pic barely does justice to its sheer delightful look and feel. Upon delivery, I migrated from the Wizard to the Diamond. This too had a resistive screen but thankfully they had figured out how not to need periodic recalibration. The stylus-fingernail combo still had major calling. And yes, the OS had moved a version up, to 6.0. In the course of my association with this sleekabomb I think an upgrade on the OS happened too… perhaps to 6.3? I’d be mistaken on the release number… This did a good job for the time it stayed in service but soon, the company—my then employer—launched the lovely Windows phone 7 and along with it gave each employee a super device—hark back to my “other a-o-m-e”, the HTC Mozart… that still does duty. That completes the phone saga of yours truly. While you, gentle reader who-has-stuck-it-bravely-to-the-bitter-end deserve all sympathy and support and perhaps a clap or two, I keep wondering how others fare with their phone-burn-rate? Oh didn’t I mention which model? 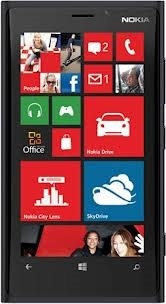 A Lumia 920. Absolute crunchy, juicy apple of my eye, left-right immaterial. Let me first shed wholesome light on what exactly went wrong. The night of Jan 23 instant, I played my customary game of Wordament before dropping off into my customary dreamless. If you haven’t yet cottoned on to this game, by the way, you’d better rectify this grave oversight pronto, even forsaking breakfast for this is hot, just what the doctor ordered to amuse, improve and instruct us mortals. Describing it would be a severe digression but maybe I’ll oblige you, gentle reader, later on but now, let’s be sternly focused on my Lumia 920 saga. So then, I played my customary game and popped off having safely parked the precious phone on the bedside table, away from any possible accident that could befall it. Trusted lieutenants vouch for the fact that Lumia 920, black, lay intact through the rest of the night. The following morning, having slipped outside of the refreshing brew, bolstered by a few of the crunchy-crumbly and taken a gander at the broadsheet informing all of the happenings in the wide world, I picked said Lumia 920 up and decided to catch up on the mails. Like all seasoned Lumians, I double-tapped the screen to awaken the sleeping beauty. I was greeted not by the usual crisp display but by vertical white lines packed 19.9 to the dozen, causing a complete lack of any intelligible legibility of any hue. To say I was aghast would be accurate but also quite inadequate. As all users know the world over, restarting the afflicted device is the normally accepted method to set most problems right in Windowsia. Back in the hoary days of MS-DOS one Ctrl-Alt-Del-ed suavely, with panache, causing awe to strike the eyes of the uninitiated and murmurs of admiration rend the air but in these romance-less days, this is commonplace. I restarted. 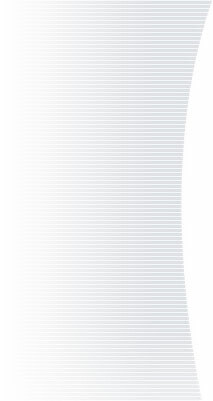 And Lumia responded with the very same vertical lines instead of PureBlack striking admiration. Remembering the kindly advice of a tech centre techie, I pressed soft-boot into service. Now this business is almost identical to the Ctrl-Alt-Del spread-fingers finger stretching: you need to simultaneously press the Volume rocker down button, the Power button and the Camera button—which Nokia, in a masterstroke of design, have placed on the same side, thus making it an act that doesn’t necessarily defy Physics; you may bite your lip as you manoeuvre your hitherto untested fingers but you will be able to accomplish what you’ve set out to do (later on discovery kind whittled down this nostalgic comparison: you just need to press the volume down and power buttons together, the third one has been given the short shrift). The phone gave the expected shiver and the screen brightened… but ditto results. This is where the plaintive cry of “Et tu, Nokia?” made an insistent comeback. 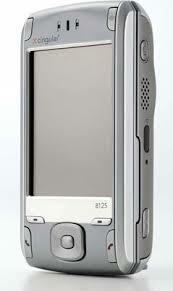 How could, I wailed in silence, Nokia build devices that malfunctioned? And so soon? And when so gently tended? And when so carefully handled? Nokia? There was nothing else to do but call their Service Centre. The gentle soul at the other end could tell me nothing beyond what I hadn’t already tried: to wit, press the volume-power-camera keys simultaneously to urge a soft boot. Which produced the exact same result it had when I had done it under my own steam. Then? Gentle Soul urged me to visit a Nokia Care Centre since there wasn’t anything else he could advise remotely. Neither a nor b could be found—am sure you’ve experienced this umpteen times yourself, gentle reader. You’d seldom find something you need when you need it. There’s a law somewhere in this regard just that I can’t put my finger on it right now. Option c was obviously ruled out. Now, d was the only one left. Stop me if you’re familiar with Lumia 920 but this wonder has no removable back nor battery or a memory card slot. There’s just one tiny slot which is pushed with a pin to slide a tray out where you park the micro SIM. No IMEI visible anywhere. I’m sure you’ve noticed that your child—if you’re in that category, that is—probably has better grip on electronic gadgets. An emergency call to my son yielded a snort and a Youtube link that showed the sleight of hand required to coax the IMEI number out from beneath the SIM tray. You need to ferret with the pin on one side to prompt another slimmer tray to slide out. Of course you’d need better eyes than mine to read the damn number but yield its secret it did. I was armed. The closest Care Centre is barely 5 kms from my home but the visit there proved to be an unmitigated, yes you guessed it, disaster. The wife and I walked in. The initial chappie at the door sort of corrals the walk-in, thrusting a slip of paper to be filled-in that needed to only exclude my DoB and early childhood. The filled-in slip led me to, for want of a more apt word, the level one advisor. He greeted me courteously enough and proceeded to give my a-o-m-e a thorough once-over, squinting, peering, turning it over and over and proceeded to lay the blame squarely at my door. “You must have dropped it, sir,” he intoned lugubriously. “Then something must have dropped on it, sir,” he countered. Now, follow me like a hungry leopard here. This stocky gent had not bothered to check the device IMEI, warranty coverage, nothing. His pronouncement was just like that! And in my mind I ‘knew’ (the quote marks are justified) the warranty period was over. To cut the rest of the encounter short, the visit was a disaster. Next, I went to another Care Centre in Gurgaon, a cheery 25 kms trip. Perhaps the distance travelled made things better… these guys turned out to be more what I’d expect from Nokia. The same slip needed to be filled-in but here the advisor at the counter first checked the device thoroughly, quickly tickled the hidden slimmer tray to give up the IMEI, input that in his computer and up sprang the phone details. Wonder of wonder, my warranty was valid till mid-Feb! The men in white lab coats—only not—reported no visible physical damage which corroborated my assertion that no outrage had befallen Lumia. The advisor then dolefully informed that they were however unable to fix the phone in-house and that they’d need to send it Nokia’s workshop for R & R, preceded by thorough diagnosis. A few formalities and a signed receipt later, I parted tearfully from the a-o-m-e, promised a reunion in 10 days’ time. 27 days have passed instead with said reunion postponed at each telephonic interaction with Care Centre personnel by ‘5 working days’. The 2nd interaction revealed that my Lumia, the a-o-m-e, has developed an affliction that has eluded all attempts by skilled lab-coats at detection. I have been promised I’d be given a replacement set instead… the original apple of my eye will not come back to me… Let’s see what transpires. Postscript: You may wonder what phone is standing by me in these testing times—for which ‘modern’ man can survive the daily grind without a smartphone to see him through—perhaps? 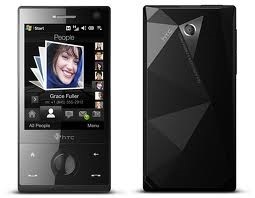 My other a-o-m-e, my trusted HTC 7 Mozart the Lionheart… 3+ years and going strong. afternoon of Feb 28. You may use your dark glasses when checking out my replacement a-o-m-e on the right here!